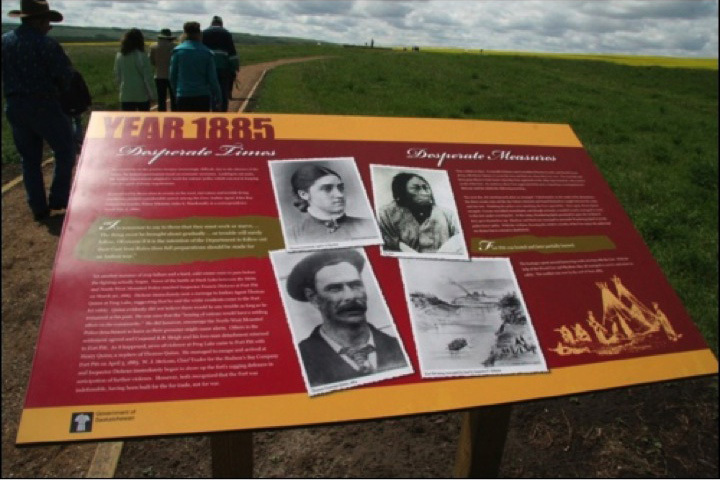 The Frenchman Butte Heritage Centre offers a very large collection of artifacts which can be viewed during a memorable tour from one of our volunteers or summer students. We also welcome school groups of any age who will enjoy a hands on approach to learning about how our ancestors lived and survived. Hours of operation: 10 A.M. - 5 P.M.
For off season admission, we are open by appointment only. 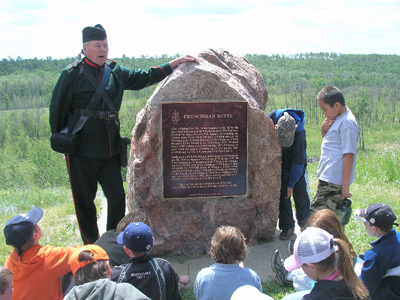 Guided tours to the historic Frenchman Butte Rifle Pits and Fort Pitt provide a very interesting outlook as you step back in time to the period of the Louis Riel Rebellion. 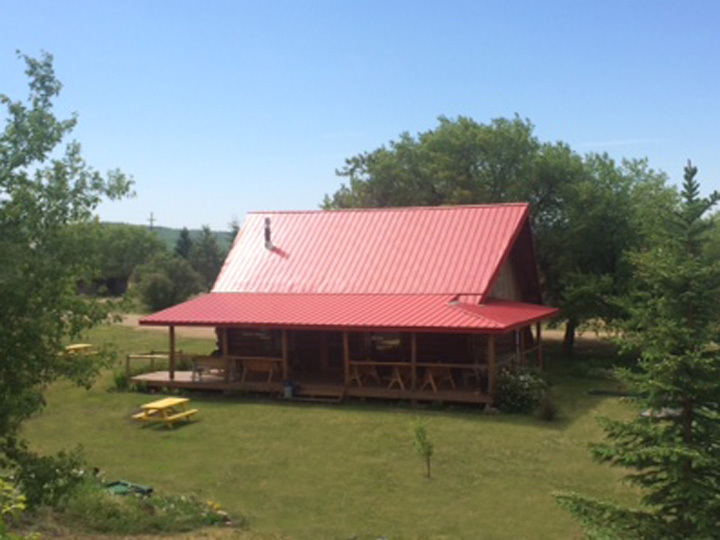 The Log Cabin Tea House offers a relaxing ambiance with superb hospitality - a nice way to wrap up your visit. Feel free to purchase our Log Cabin Tea House cookbooks packed full of delicious recipes and history books written by local authors. These are a few of the items available to purchase and support the Museum. Hours are from 10 AM - 5 PM during every day the museum is open. 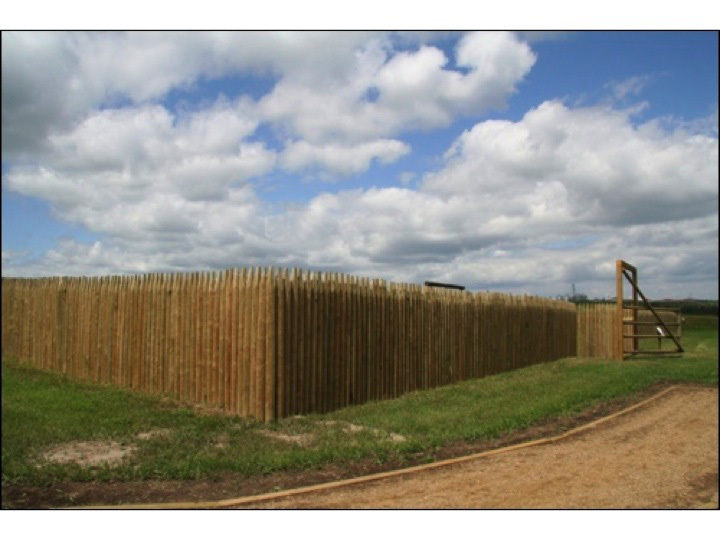 Our new Heritage RV Park is now OPEN! 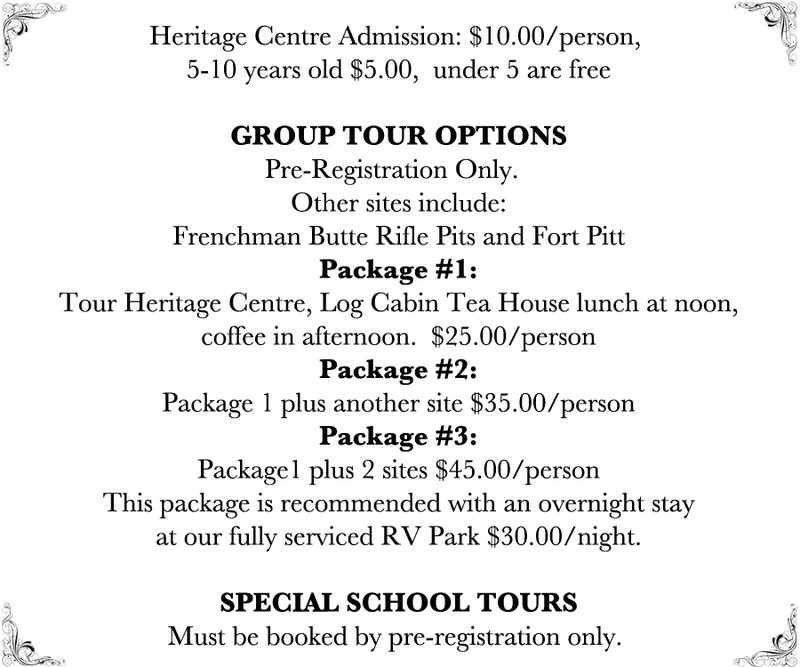 Book your stay at our Heritage RV Park before it's too late. ONLY $30/night or $25/night for stays over a 1 week period. Frenchman Butte Museum signs will direct you to the museum which is located in the picturesque hamlet of Frenchman Butte,10 km north off of Hwy #3 on a bank overlooking the North Saskatchewan River. Our museum's goal is to preserve and pass on history, and we welcome you and your loved ones. We can guarantee that you will want to visit us again.